Congratulations go to Coronation Street's Julia Goulding, who plays Shona Ramsey. Julia has married her partner Ben Silver, reports OK magazine. 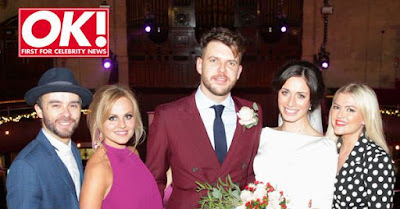 Julia tied the knot with her partner of three years, Ben Silver, in a ceremony which was attended by a number of her Corrie co-stars. The couple tied the knot in Manchester’s Albert Hall, with Julia explaining: "I love being on stage and I always wanted to get married on one!" The pair also walked down the aisle together, hand-in-hand.